House of Representatives passes amendments authored by Rep. Peter Roskam to block the sales of Boeing and Airbus aircraft to Iran. The House of Representatives on Thursday easily passed two amendments authored by U.S. Representative Peter J. Roskam to block the controversial sales of both Boeing and Airbus aircraft to the Islamic Republic of Iran. The amendments to the Financial Services and General Government Appropriations Act passed by voice vote, indicating overwhelming, bipartisan support, Roskam's office said in a statement. Amendment #45 prohibits the Office of Foreign Assets Control (OFAC) from using funds to authorize a license necessary to allow aircraft to be sold to Iran. Amendment #46 ensures Iran will not receive loans from U.S. financial institutions to purchase militarily-fungible aircraft by prohibiting OFAC from using funds to authorize the financing of such transactions. As reported by The Hill, House Democrats did not mount any significant opposition and, in many cases, joined efforts to block the sale. This past September it was reported that Iran was planning to buy Airbus and Boeing passenger planes through long-term payment agreements, once the nuclear accord with world powers was implemented. The nuclear accord was indeed implemented at the beginning of 2016. The deal with Boeing was announced in mid June and would reportedly see Boeing sell civilian aircraft to Iran to the tune of $25 billion. 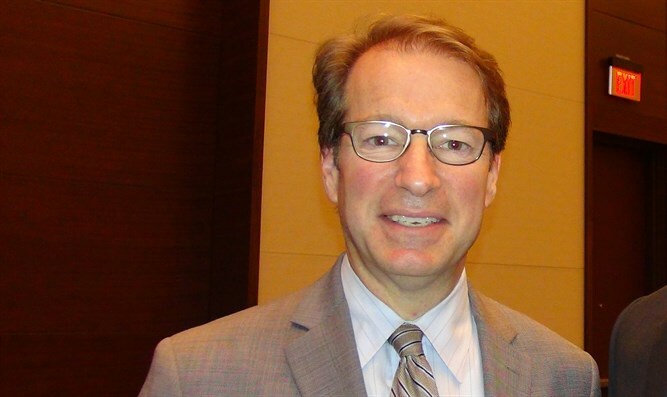 In April, Rep. Roskam wrote an op-ed in The Wall Street Journal urging Western companies not to do business in Iran. “If you wouldn’t do business with Islamic State, you shouldn’t do business with the Islamic Republic,” he wrote at the time. Rep. Roskam spoke with French and European media outlets to warn Airbus not to sell planes to the Iranians. In May, he joined fellow Illinois Reps. Robert Dold and Randy Hultgren in sending a letter to Boeing’s CEO urging the Chicago-based company not to empower the terror-sponsoring regime. Senior members of the Congressional delegation from Washington state, where Boeing is the largest private employer, crafted another letter of inquiry. In June, after Iranian regime officials announced their intention to buy and lease 109 new Boeing aircraft, Roskam and Financial Services Committee Chairman Jeb Hensarling wrote to Boeing once again, asking specific questions to help them assess the national security implications of such a deal.